Port Moresby resident and Digicel Play subscriber, Dennis Bray was astonished to discover that he is off to Australia this weekend to watch the next generation of wrestling talent perform at WWE NXT in Sydney, as the winner of the 30-Day Supa Plan Competition. Unaware that his subscription entitled him to an entry in the competition, Mr Bray said he was surprised but elated with the win. 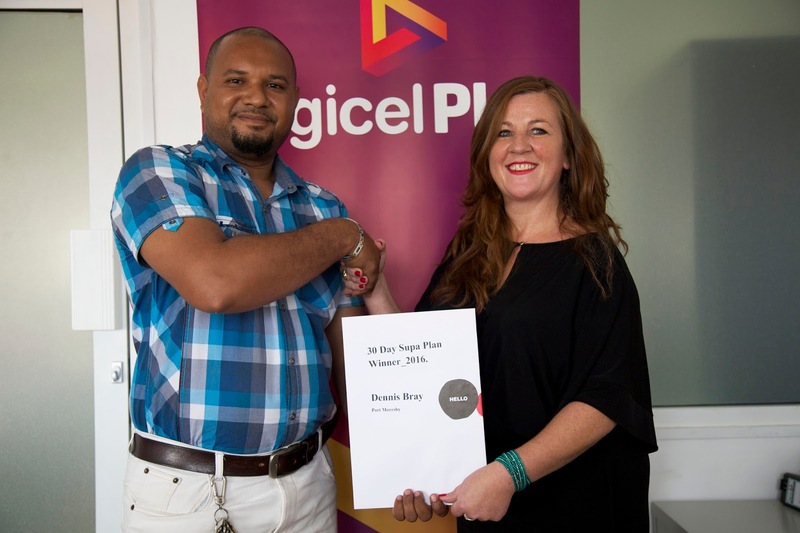 “I would really love to thank Digicel Play for this great opportunity,” he said. Mr Bray’s prize includes return airfares for two from Port Moresby to Sydney on Saturday 10 December, four-nights’ accommodation, $1000 AUD spending money and two tickets to the WWE NXT at Qudos Bank Arena on Tuesday 13 December. Entry into the competition was automatic for all customers purchasing a 30 day, 14 day or 7 day Supa TV Plans between 23 November and 5 December 2016. Fourteen-day Supa TV Plan subscribers were entered into the draw to win a TCL 40-inch television, which was won by Prudency Manua from Goroka. All seven-day Supa-TV Plan subscribers were eligible to win a family pass for 2 adults and 2 children to attend the live grand final show of YU EM KHAX in Port Moresby on 21st January, 2017. This prize was won by Kolen Wahawe of Lae. Winners were contacted by telephone on Wednesday 7 December and CEO Nico Meyer said they were all thrilled with their prizes. “This competition was our way of saying thank-you to our customers for their ongoing support,” he said. Digicel Play has a range of flexible packages available to suit the needs of all customers and their budgets. The popular Supa Plans offer packages of either 32 or 37 channels and are available to purchase in 1 day, 7 day, 14 day or 30 day plans. The 30 day Supa Plan is currently selling on a promotional offer of K75 for 37 channels for a limited time.